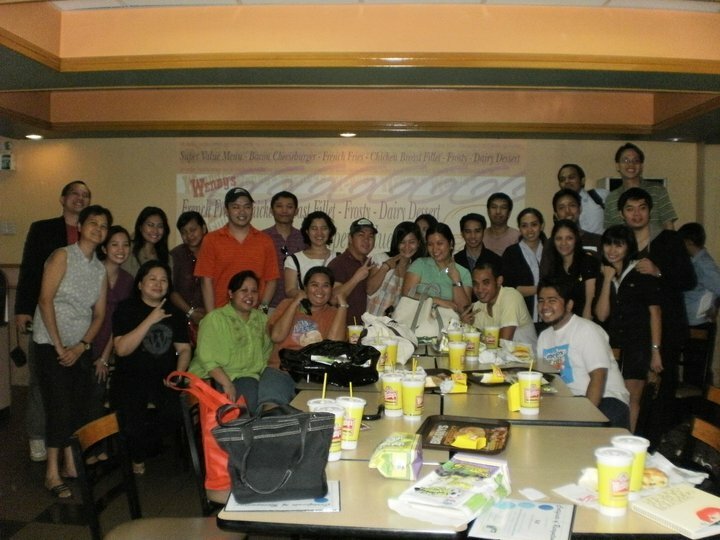 It was a night of full of fun and sharing during the awarding of winners in Mr. Jayson Biadog's contest entitled Winners Place: Share Your Winning Stories last November 9 in Wendy's Boni Ave. Branch. The said event was also attended by different bloggers who participated in the said contest. Ten bloggers emerged victorious in the contest after sharing their unique and exciting stories of their journey, struggle and how they were able to cope up with hindrances and barriers just to achieve their goals and dreams and eventually win the battle called life. Its also served as the perfect venue to share blogging experience and tips especially to a newbie blogger like me. Two of those were Jonel Uy of letsgosago.net and nomnomclub.com and Ms. Janette Toral who unselfishly shared some tips and updates related to blogging. There were also raffles and photo op. Food was sponsored by Wendy's Hamburger. No one goes home empty-handed for everyone received a giveaways courtesy Wendys. Indeed, the night was filled with fun, excitement and new-found friends. *Event happened last Nov. 9, 2010. Korea's Got Talent "Sung-bong Choi"
5 Short Horror Movies that will Creep You Out! Screening Schedule of "That Thing Called Tadhana"